Have tried to shoot the laser from many different angles, and your old barcode scanner still could not read barcode well? Time to get a brand new USB barcode scanner! Fast & accurate scanning thanks to the smart chip inside the 1D barcode scanner. It comes in handy with advanced features that you can easily add prefix or suffix without no problems. 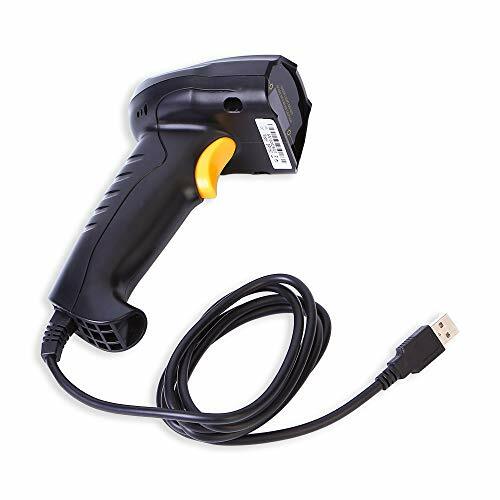 Worry that the barcode scanner stops working in just a few month? All barcode scanners sold exlusively sold by NTONPOWER are backed by a 18 months product warranty. Even the Amazon return window closed, you can directly get back to us for quality-related replacements or refund. If you have any questions about this product by NTONPOWER, contact us by completing and submitting the form below. If you are looking for a specif part number, please include it with your message.